Framed shower doors are very popular and are widely used in homes across the country. They work well and make a very attractive functional choice. Framed shower doors typically use glass and depending on the design are framed using aluminum panels or a metal or alloy. 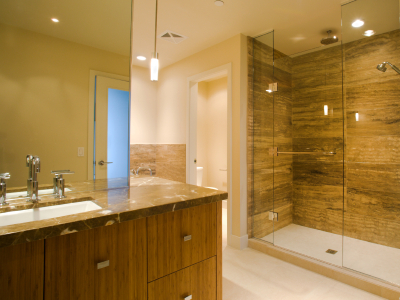 Framed shower doors are utilitarian and extremely beneficial fixtures in a bathroom. They can make the bathroom look larger and clearly define your shower area. Framed shower doors can also protect the entire bathroom from water splashes and depending on the design you choose, allow natural light from your windows in. In small spaces, having natural light is a very helpful tool for creating a desirable look and feel to your bathroom. While shopping for framed shower doors, you have a plethora of choices and options. 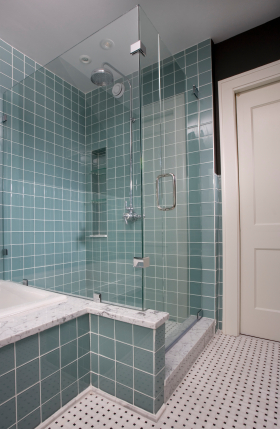 You can choose many different types of glass to be used with framed shower doors. You can go for clear glass which is the most standard option and also extremely popular. You can go for rain glass or bubbled glass, etched or embossed glass, antique glass, grey glass, iron glass or bronze glass among many others. 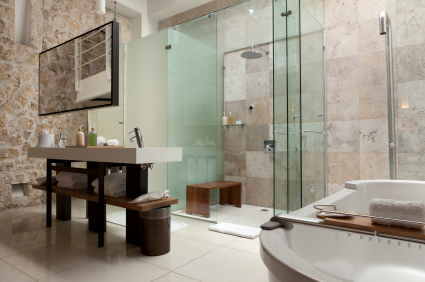 You can decide on the thickness of the glass and thus that of the framed shower doors. You can also make choices on the design and the styling of the framed shower doors. Depending on the size and layout of your bathroom, you’ll have many different options to choose from when it comes to the Type or style of Framed Shower. Many homeowners opt for bi-fold framed shower doors, sliding or swinging doors. Sliding framed shower doors can have one sliding door and another fixed or both the door panels may be sliding. The same is applicable for swinging framed shower doors. You may have one swinging panel or both. Bi-fold framed shower doors are popular in bathrooms that are not sufficiently wide. 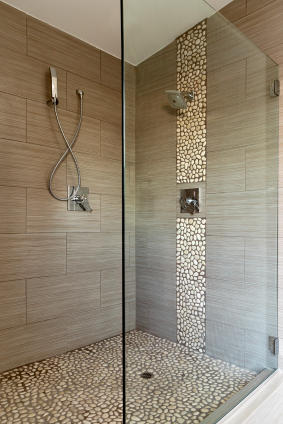 In this design, one part of the framed shower doors can be opened and swung open to get aligned with the fixed panel. This doesn’t require as much space as a swinging door and is also a convenient option for those tight spaced bathrooms. You’ll also have choices in the hinges, fittings and accents. The choices are many! Let Excel Glass use our years of successful Framed Shower door design and installation help create the shower area you deserve!